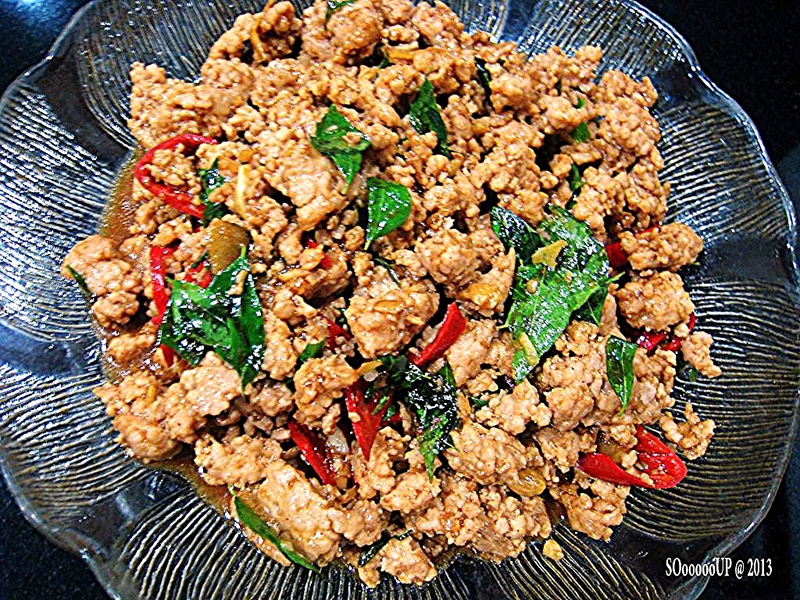 Marinate meat with spicy shrimp paste. Fry minced garlic, onions and curry leaves till fragrant. 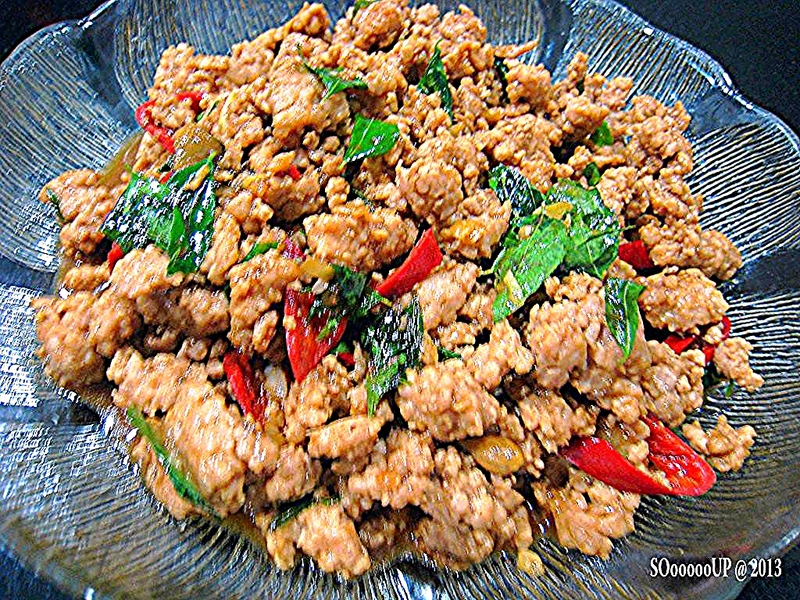 Add in minced meat and fry over high heat and sprinkle in 2 tablespoons of water. Simmer the meat till thoroughly cook. Throw in 1 sliced chilly, stir and dish up. Cut luffa into thick slices (choose small luffa as big ones contain a lot of seeds). Stir fry garlic and dried prawns. 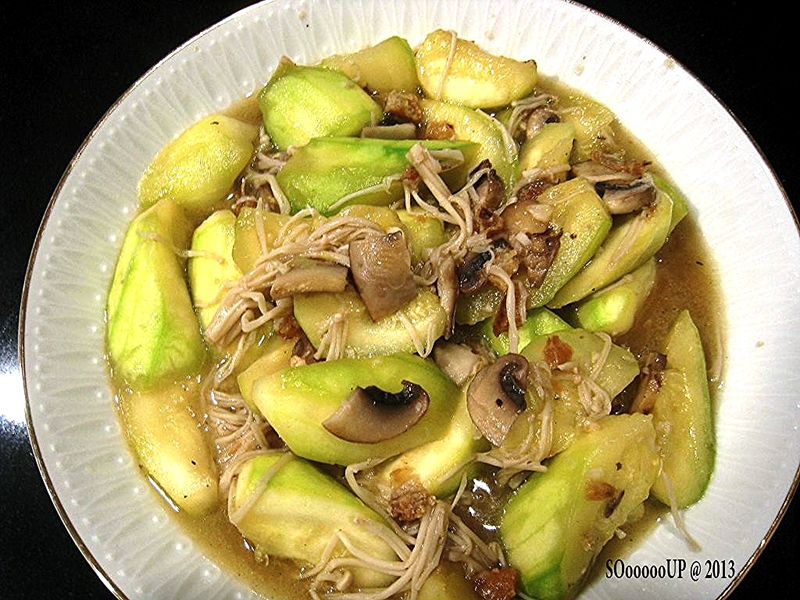 Add luffa and fresh portabella & straw mushrooms. 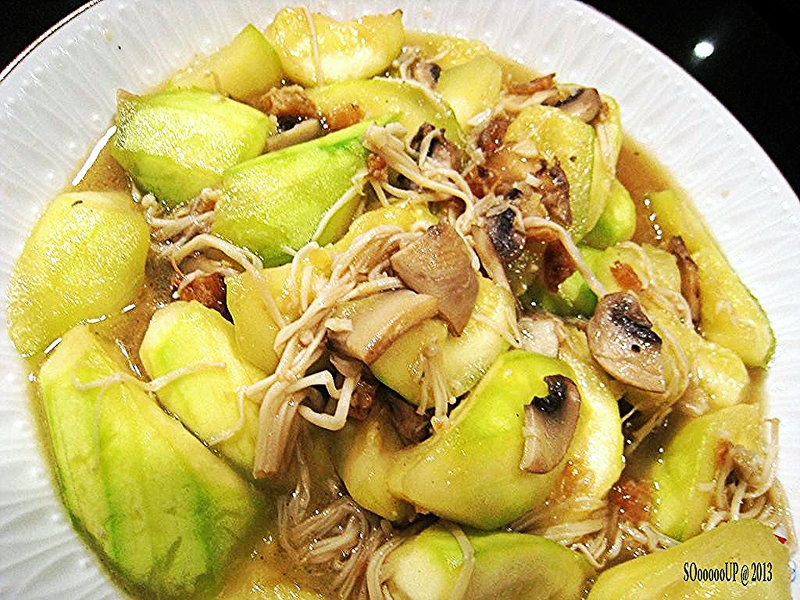 Do not add too much water as luffa gives out a lot of water during cooking. Season with oyster sauce.